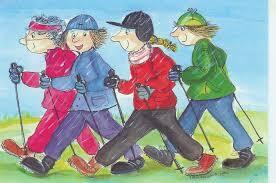 Nicky Newell, in Oxton, is now a qualified Nordic Walking instructor and is offering a free taster session on a few dates this Spring for groups of six at a time. If you are interested, please get in touch via Jan Sablitzky sablitzky@btinternet.com in the first instance. « Volunteers required to help Oxton look its best!